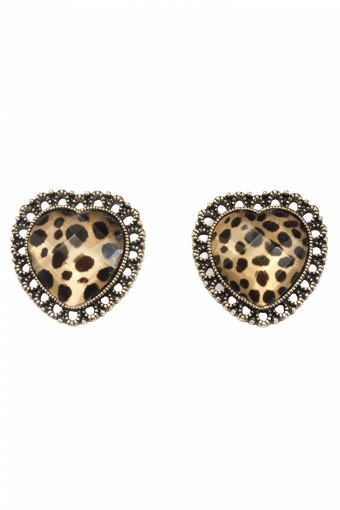 Really cool Lovely Leopard Sweetheart earstuds by From Paris With Love! The faceted hearts of these unique earstuds have a subtle metallic luster and are beautifully framed in baroque-style antique-look gold tone (nickelfree) metal. Go wild! Earstuds: 3 x 3 cm For hygiene purposes, no refund or exchange can be accepted on this item.